Because trees are alive, it makes sense that they should be cared for by an expert. Certified arborists are just that: They have been trained and educated in every aspect of tree care, including soil management, tree biology and urban forestry. A certified arborist is trained in the art and science of planting, caring for and maintaining trees. 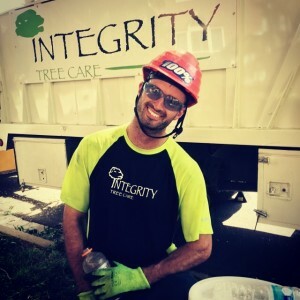 Integrity Tree Care has two certified arborists on staff, including owner Jimmy Prichard, who founded the company in 2001. Our clients benefit from this extensive training, and we’re proud of that fact. If you’re looking for a professional Dallas or Fort Worth arborist to handle all of your tree care needs, call us today. A certified arborist will answer any questions you may have and will provide the utmost care for your trees. Improper pruning can be devastating to your trees and property value, so it’s always a great idea to go with a certified arborist who cares about the trees’ health and integrity. Certification, which is administered by the International Society of Arboriculture, requires that the individual has a minimum of three years of full-time experience in the field. 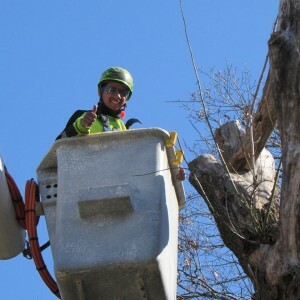 In order to be certified as an arborist, each person must pass a comprehensive exam developed by experts in tree care. After they pass, they have to continue their education to maintain their certification — which means they are always up-to-date on the latest news and techniques in arboriculture. Once someone passes the thorough exam, he or she is proven to possess a high degree of knowledge about tree care and maintenance. Certification can definitely set a person apart in the field of arboriculture, so keep this in mind when you’re in need of someone to care for your trees. 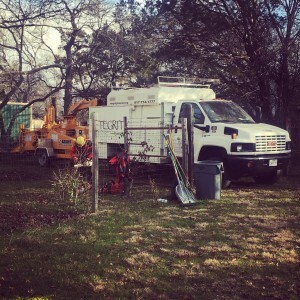 Looking for a highly skilled and trained Dallas/Fort Worth arborist? Contact Integrity Tree Care! A certified arborist on staff will help you with all of your needs, from pruning to stump removal and everything in between. We truly want our clients to benefit from our expertise.